With Crazy Heart's Scott Cooper at the helm, Black Mass tell the true life story of Whitey Bulger, the infamous South Boston crime boss, and brother of a state senatorwho turned FBI informant to take down a Mafia family invading his turf, and is currently imprisoned with two life sentences. 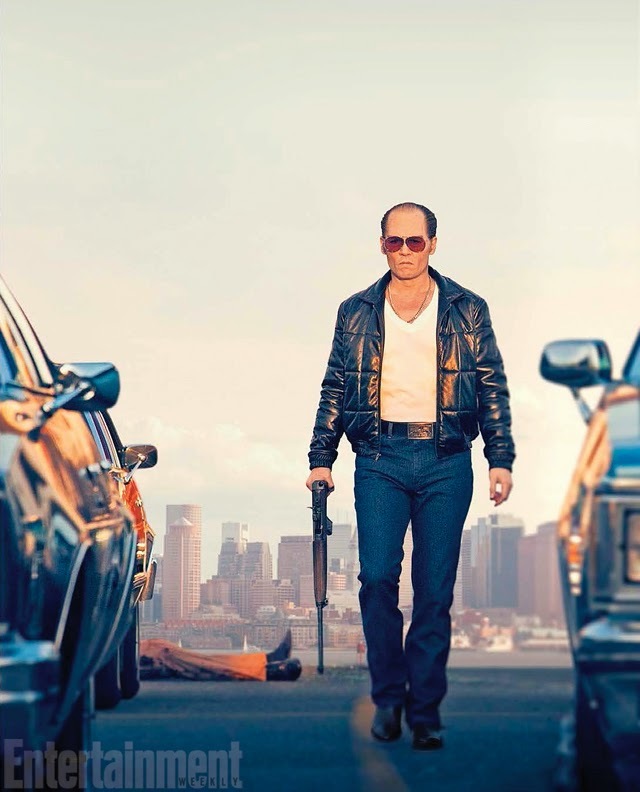 Johnny Depp is taking on the role of Bulger, and Entertainment Weekly have our first look at the movie, with Depp in character as the violent criminal. This role seems to be a million miles away from the quirky characters (or just one quirky character depending on who you ask) Depp has committed to the big screen in the last few years, and I'm excited to see him tackle a meatier role, hopefully one that will deliver a performance close to the Johnny Depp of old. But this isn't just Depp's show, with Coper assembling a fantastic cast including Benedict Cumberbatch, Juno Temple, Kevin Bacon, Adam Scott, Jesse Plemons, and Dakota Johnson.